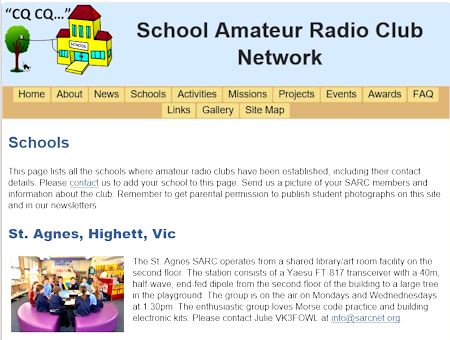 Click the website images to go to the website. The client's location is shown in parentheses. The Tahiti website was an existing Asp.Net MVC website. I was a contract member of the team at The Branding Farm, which was tasked with updating the look of the site, and making it mobile-friendly. I was the database, MVC, Angular JS, and Classic ASP person on the team. The new layout and CSS work was done by other members of the team, while I translated them into changes in the database, changes in the MVC models, services, controllers and views, and changes in Angular JS pages. I also made changes to the Classic ASP CMS for the site contents. 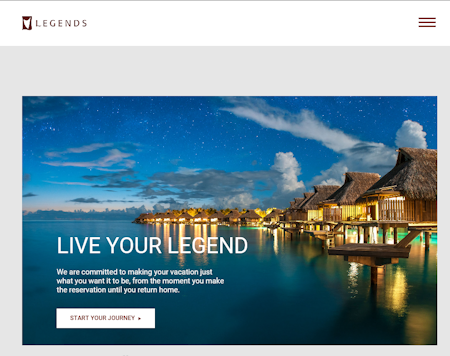 The Tahiti Legends website was an existing Classic ASP website. 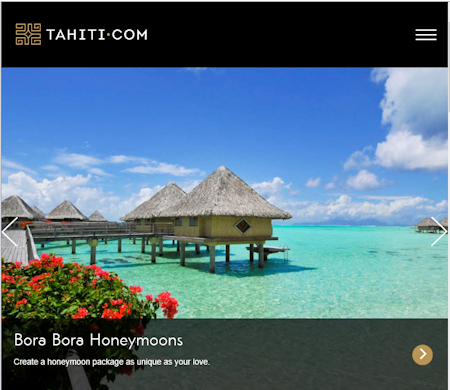 As with the Tahiti site, above, I was a contract member of the team at The Branding Farm, which was tasked with updating the look of the site, and making it mobile-friendly. I converted the site from Classic ASP to MVC, reusing and modifying as much of the code base from Tahiti as possible, and writing new views/models/controllers where needed. 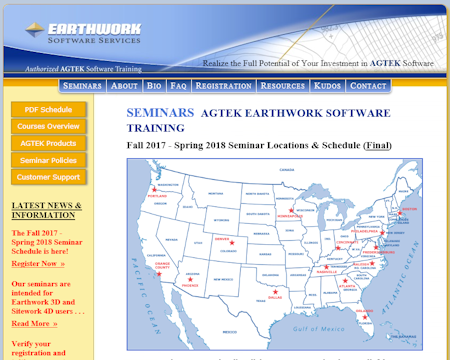 The Earthwork Software Services website was an existing site. The real-time interaction with PayPal had stopped working, the site was not mobile-friendly, and email to clients did not generate invoices that printed properly. I converted the site from Asp.Net framework 2.0 to 4.6, so that ServicePointManager.SecurityProtocol could be used to meet PayPal's new TLS requirement. I made the site mobile friendly, keeping the original site look at full screen, and adapting each page to be responsive down to mobile phone sizes. I created a PDF of the invoice, properly formatted, and attached it to the email sent to clients. Additionally, I added functionality to the home page and seminar policy page, deriving seminar listings, links, styles, and image map links from the database, modified as the season progresses. Previously the site owner had updated those pages by hand. 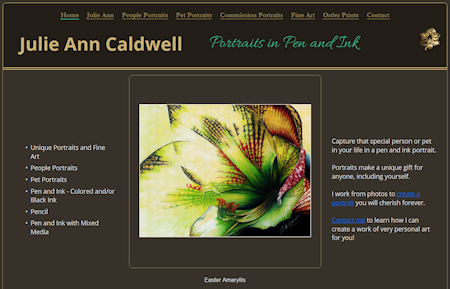 Portrait artist's website with a secure manager's area to upload and organize images and image information for the gallery pages and for the home page slideshow. This is a basic ASP.NET website with an SQL Server database. 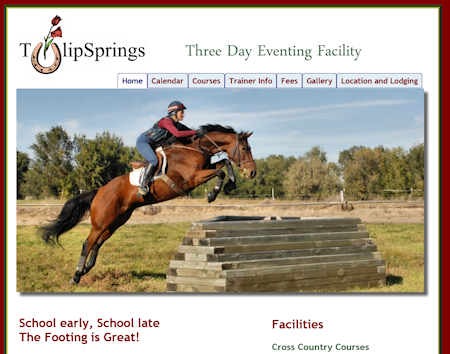 The Tulipsprings website was developed in parallel with the construction of the Tulipsprings Three Day Eventing facility. 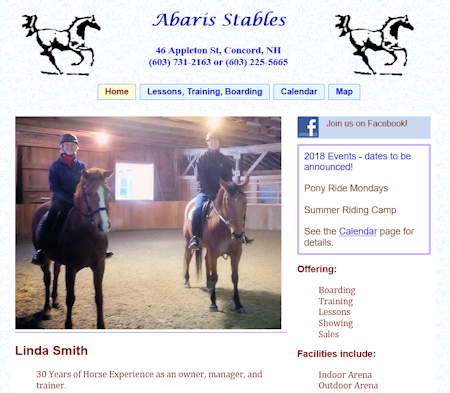 It is frequently updated with news about clinics for riders in the area. It originally had a WordPress blog incorporated into it, and a Calendar application that the client could update through the web browser. These are no longer needed, since after a training session with me, the owner took over maintenance of the completed website and now updates it herself using the Expression Web program. The website came back to me twice for updates and redesign, including making it mobile friendly in 2016. It is now back in the hands of the owner for maintenance. 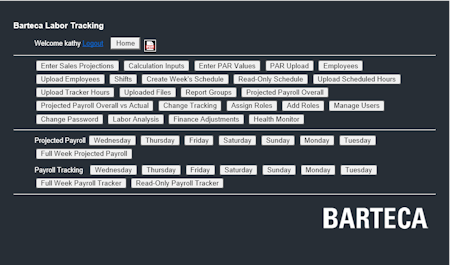 Barteca, owners of the Barcelona Wine Bars and Bartaco restaurants, needed a site where store managers could enter sales projections and labor schedules, track those through the week, and generate forecasted and actual labor/sales financial reports. Input can be done by hand or uploaded from their POS system. Reports can be viewed online or exported to Excel. The financial team can audit results and make corrections. This site uses Asp.Net web forms with an SQL Server Database. 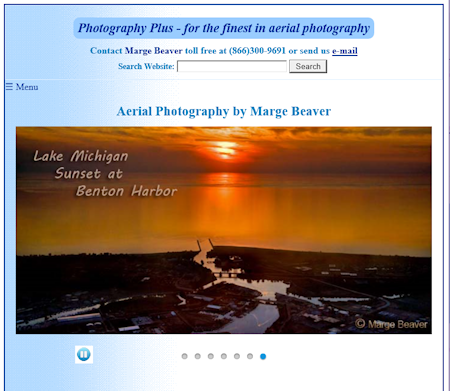 An aerial photographer's website. This was an existing site where the owner/creator asked me to fix some problems and to make it mobile friendly. This site has an administrative area for the photographer to upload photographs and enter information about them into a database. Visitors can use a search function to find photographs. The original site had a classic ASP back end and some features had stopped working. I rewrote the back end with an asp.net solution. Keeping the original look of the site, I restructured the pages to be mobile friendly. I converted several pages to the mobile friendly version, and added a mobile-friendly slideshow to the home page. I then instructed the site owner, who maintains the site herself using Expression Web, how to convert the remaining pages using a template and styles I provided. An interactive web application that allows one to explore and resolve psychological issues using the Pattern System model. The public-facing website allows users to be led through a complex path of pages. Input from users is saved and determines content on future pages. Additionally, the website interacts with Infusionsoft, which manages the mailing list and subscription purchases, through the Infusionsoft API, and lets users post website-related content on Facebook using Facebook's API. This is a complex ASP.NET website with several levels of access and security, backed by an SQL Server database. 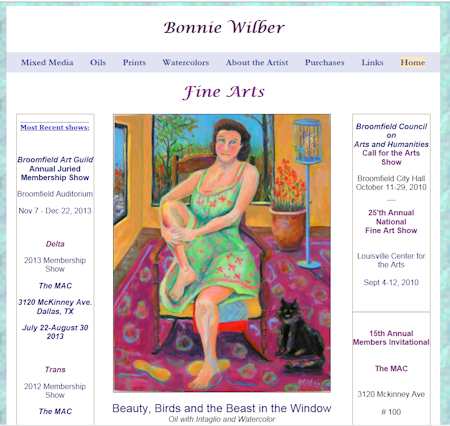 Artist's website. The gallery pages pull different sets of the Artist's works from a database. The home page slide show also pulls works from the database. Updating the website is done by the website owner. There is an administrative area where the artist can upload images of new works, enter their properties in the database, and make changes to some of the page content through a lightweight CMS. The main site is a basic ASP.NET website using an SQL Server database. The Online Shopping section is implemented using nopCommerce, an open-source ASP.NET MVC application, backed with an SQL Server database. Both the main site and the store are mobile-friendly. 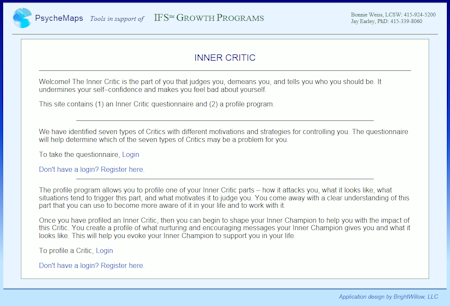 The PsycheMaps website contains tools in support of IFS Growth Programs. The website also contains a custom application to create psychological profiles related to the clients' work. This is an ASP.NET application that controls access by membership. There is an Administration area where the psychological profiles are defined, different types of questions are populated, and images are uploaded. The Administration area also contains functions to maintain users and view data. The administrative data that drives the profiles, and the individual user data, is stored in an SQL Server database. Site for a small home business, including an e-commerce area for online sales. The business owner specializes in home-sewn modest swimwear and slips for women and girls, started as a local walk-in business. Since developing the website, most orders for this business now come over the internet, from as far away as Alaska. The owner has retired the business after over 20 years, so the site no longer exists. I provided coaching for the designer of this website. This used to be an old FrontPage website with individual pages/frames for all the products and the various ways of presenting them, manually maintained every time suppliers updated their product lines. The website designer wanted to change it to a database-driven website, so changes could be made in one place and appear wherever they needed to in the pages of the website. I coached her on database design and asp.net C# coding. The website was completely transformed from hundreds of pages to only a handful of pages that display the products filtered by user selections. 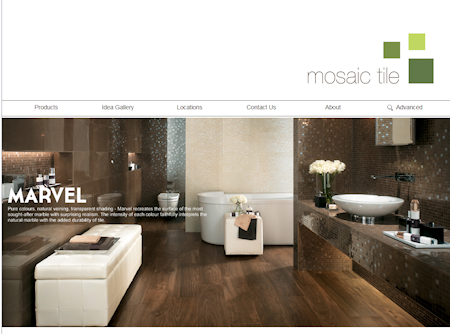 I modified this existing website to make it responsive and mobile-friendly, keeping the original look. The originator of the site maintains it himself with Expression Web. I created a new site template with responsive menus and sidebar, and new html structure and styles for the page content. I converted several of the pages, then taught the site owner how to convert the remaining existing pages, and how to use the new template and styles in any new pages.